MOSCOW, August 20. /ITAR-TASS/. As Russia practically faces closed doors in terms of cheap Western lending, China is an increasingly appealing investor. Chinese investments have been expanding recently, while the Russian government started to provide access to strategic objects for China, say experts. On instruction of Russian Minister of Economic Development Alexei Ulyukaev, Russian non-governmental organization Business Russia prepared a list of 57 applications of entrepreneurs willing to attract Chinese investments. The ministry is going to attract a total of more than $7 billion of Chinese investments, the organization’s co-chairman Anton Danilov-Danilyan told Gazeta.Ru. Most applications are linked to production, but some are rather unconventional, such as creation of a supercomputer or a network of rest homes. According to the Russian Chamber of Commerce and Industry, last year Chinese direct investments in Russia amounted to $4.8 billion. Total accumulated direct investments reached $7.7 billion. 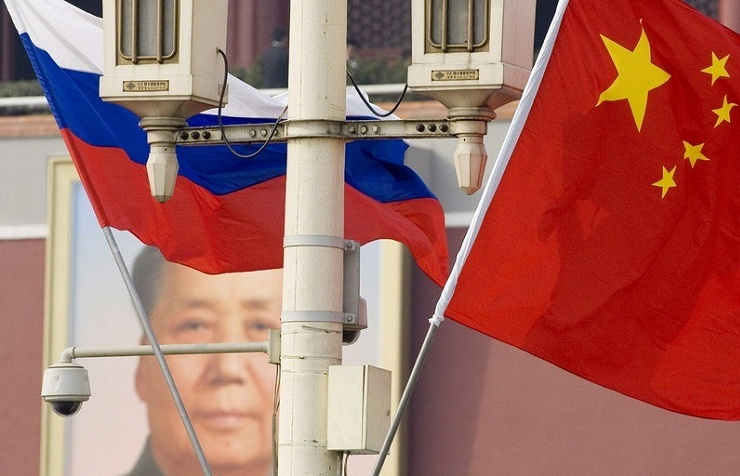 “Chinese partners long ago expressed keen interest in investing in the Russian economy, but amid the escalating geopolitical situation, this is increasingly urgent for Russia,” Director of the investment projects department at MBG investment consulting company Mikhail Udovichenko told ITAR-TASS. The projects were the gas contract signed in May during President Vladimir Putin’s visit to China, the projects pursued in border regions such as Transbaikal and Outer Manchuria, and central Russian regions - Kaluga Region, Moscow and St. Petersburg, said Udovichenko, who is also a representative of China Overseas Development Association (CODA) in Russia. Crimea also demonstrated interest in cooperation with China, he added. Chinese companies could participate in construction of the bridge across the Kerch Strait to connect the peninsula to mainland Russia. The government has allocated for the bridge almost 250 billion rubles, or $6.9 billion, under a special Crimea development program. The bridge construction will be financed from the state budget, but foreign companies can act as contractors. “While access to strategic facilities was previously closed for China by the Russian government, the situation is changing now,” the expert said. According to the Republic of Crimea’s Presidential Permanent Representative Georgy Muradov, first talks about Chinese investments in Crimea have already been held. Investors are interested in cooperation on transport infrastructure development, construction of energy, amelioration and water facilities. They are also prepared to take part in developing public utilities and agro-industrial complex. Experts pin hopes on the upcoming 6th China Overseas Investment Fair (COIFair) in Beijing on October 23-24. “COIFair will allow the companies interested in Chinese investments to establish a direct contact with Chinese investors,” said Udovichenko.